Chambourcin Grapes: This blue grape is a French American hybrid developed by Joannes Seibel in the Loire Valley of France. 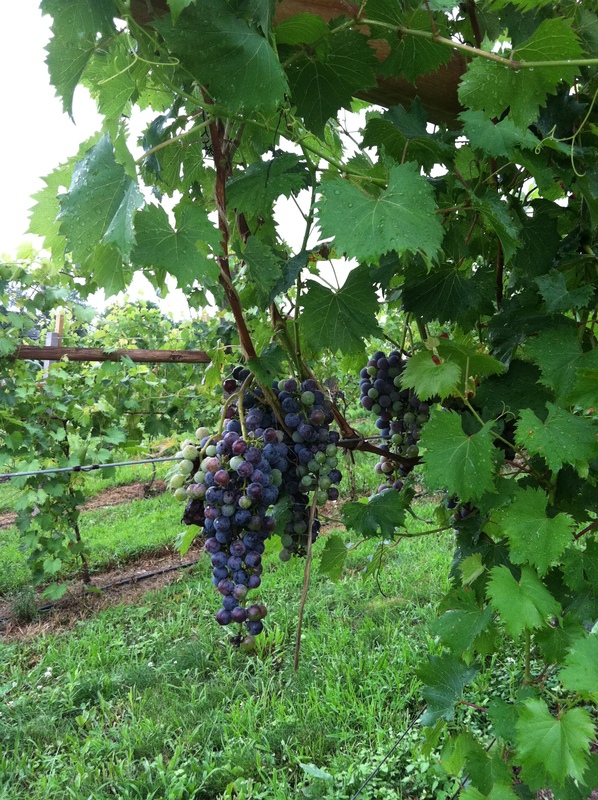 The grape’s “parents” are reported to be native American species and other Seibel hybrids. The variety was released in 1963 and introduced to the US in 1970. It is a winter hardy variety that is quite popular with growers in the Mid-Atlantic states. Vidal Blanc Grapes: Another commonly grown variety for the Mid-Atlantic region, Vidal Blanc is a white wine variety that exhibits good cold hardiness and is well suited for a variety of climatic and soil conditions. Vidal Blanc produces small berries borne on very large, tapering clusters. The grapes tend to produce high sugar levels in cold climates while maintaining good acid levels. Vidal Blanc can be made into a variety of wine styles, including off-dry Germanic style wine, sparkling wine, dry barrel-fermented table wines, and late harvest sweeter dessert wines. Vidal Blanc was developed in the 1930s by French breeder Jean Louis Vidal by crossing “parents” Ugni Blanc and Seibel. (Ugni Blanc is also known as Trebbiano, a white grape used mainly for brandy production in France and for Chianti blending in Italy). Concord Grapes (Vitis labrusca) Concord is the most famous American grape with vigorous, hardy and productive vines. Concord grapes are used as table grapes, juice and jelly grapes as well as wine grapes. They are tough skinned, flavorful and highly aromatic grapes with a distinct “foxy” flavor . Concord grapes were developed 1849 in Concord, Massachusetts by Ephraim Bull. The original vine he selected is still growing at his former house. 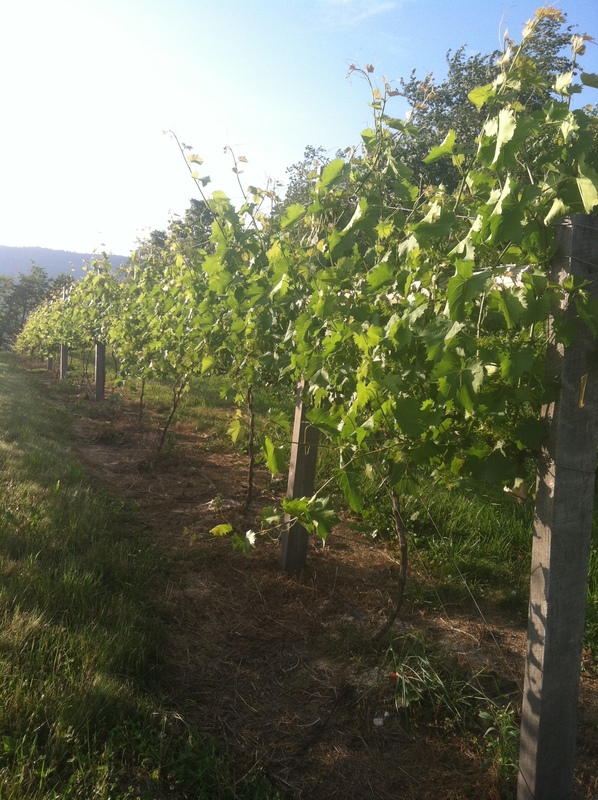 Concord is considered a Vitis labrusca cultivar, though some believe that it may have been cross fertilized with a Catawba grape.